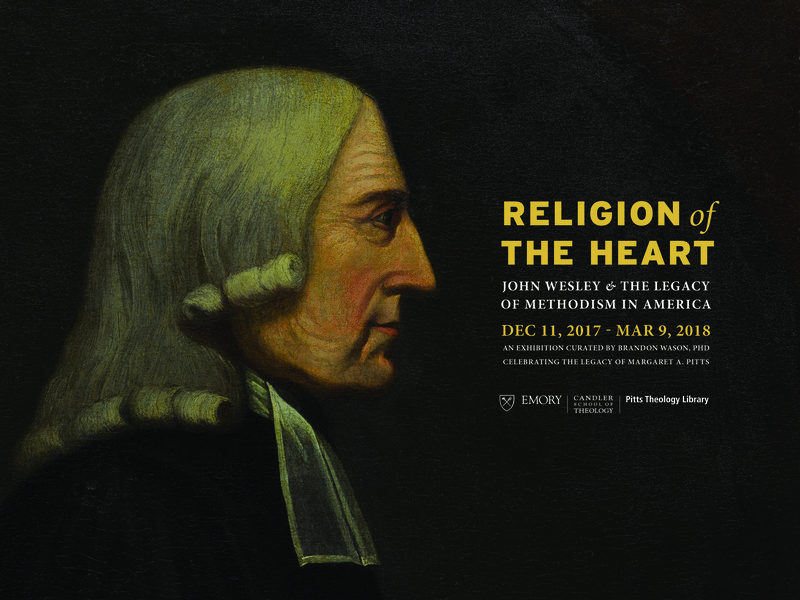 A new exhibit at Emory University’s Pitts Theology Library at Candler School of Theology focuses on John Wesley’s founding of the Methodist tradition and its history in America. 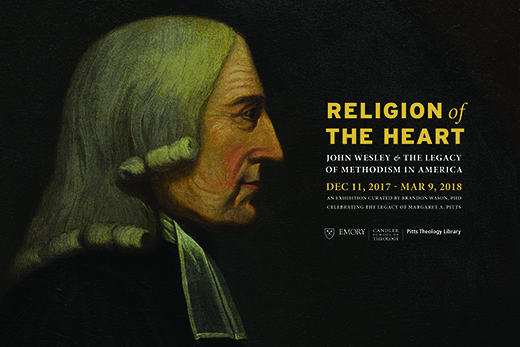 “Religion of the Heart: John Wesley and the Legacy of Methodism in America” runs through March 9, 2018, and is open during library hours. Guided tours will be held on Fridays at 1 p.m. on Jan.12, Jan. 26, Feb. 9, Feb. 23, and March 9. Sign up for a tour. Curated by Pitts archivist Brandon Wason, the exhibit draws upon the library’s extensive Wesleyana holdings to examine Methodism’s rise and development in England, and its establishment and history in the early days of the United States. The exhibit includes materials connected to John and Charles Wesley’s childhood home, their time at Oxford University, their sojourns to the then-colony of Georgia, and their religious experiences of 1738. The exhibit also explores how preaching, hymns, and organizational structures of Methodism played a role in the movement’s success. Pieces reflecting major periods and topics of American Methodism are on display as well, exploring issues of church government, race, slavery and gender. Many of the materials are being shown for the first time.